I really am in the car right now, and it’s a beautiful fall day. I’ve been thinking about building a business lately. How do we make our business an asset? Our business should be able to run without us being there. It should allow us freedom, not be a job that requires 60 or 80 hours a week. Keep overhead low, and train a few good people to work with you. Grow only in ways that don’t conflict with your desired lifestyle. Borrowing from Rob Swanson, use Simple…System…Scale as a guide for your business. 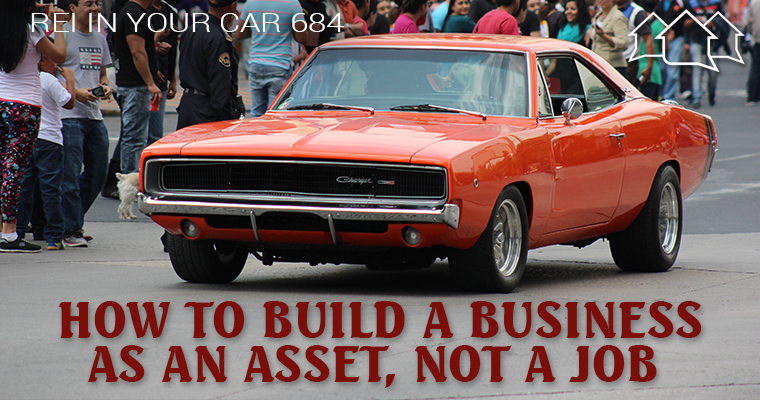 Is your business an asset?